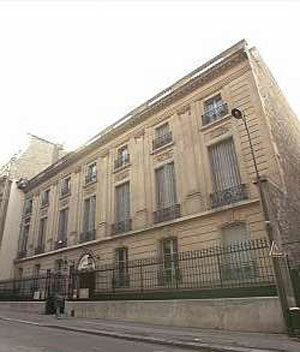 The Russian Conservatory Alexander Scriabin was founded in Paris in 1997 by a group of Russian professors. The teaching methods of the Conservatory are inspired by a long and rich experience of the Russian musical techniques, in keeping with the tradition of European schools. The professors of the Conservatory are genuine followers of the great masters of the Russian school, such as H.Neuhaus, A.Goldenweiser, S.Feinberg, P.Serebriakov, V.Gornostaieva, L.Kogan and many others. The students of the Conservatory are regularly presented to auditions and class concerts. Many students have already seen their talent highly rewarded by participating in national and international competitions. In the year 2000, the Conservatory created its International Piano Competition. This annual competition is largely attended by young French and European pianists (Western and Eastern Europe, Japan…) and is recognized by the entire profession. Created as an association governed by the law of 1901, the Russian Conservatory Alexander Scriabin is located in the beautiful buildings of the Cultural Centre of Russia, in the 16th arrondissement in Paris, only a few minutes away from place Charles de Gaulle - Etoile.